Tracking daily spendings or expenses and planning a household budget helps in preventing financial problems. People can save money only if they track expenses and find a way to cut save money on bills, fees, rent, etc. Smart people know how to keep the family happy and save money at the same time. To cut down on expenses, they buy groceries for the entire month from Walmart, Amazon or other store offering discounts. These people use credit cards at gas stations, online retail stores, etc. The bank rewards the users with free points, with which they can get free movie tickets, special discounts at restaurants, etc. Budget tracking helps in many ways. If you plan expenses wisely, you could possibly save a large sum of money by end of the year. 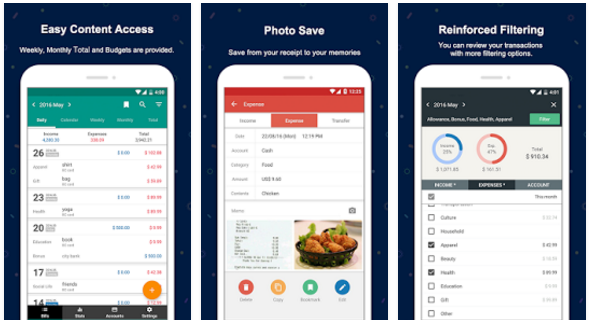 One good way to track expenses and save money is to use one of the below mentioned best budget apps on Android phones or tablets. AndroMoney is a free financial planning app that has an excellent rating of 4.7 on the Google Play Store. Over a million people have installed it so far. The size of the AndroMoney application on the Android marketplace is 9 megabytes. On startup, AndroMoney shows a brief overview of what features it offers. The user must tap on the back button (on the top menu bar) to enter the main screen. The main interface shows a beautiful UI with the option to add a new expense. The Account is nothing but the payment mode i.e. cash, credit, or bank. The app detects your country automatically and sets currency accordingly. The user can add as many expenses as he wants. Apart from expenses, the application lets you track your income and money transfers. AndroMoney shows calendar-wise or day wise spendings. It has a filter module to shortlist expenses belonging to a specific category, project, payee, etc. It has a smart budget calculator and reporting section, with which you can see a pie, bar or trend chart of daily spendings or income. AndroMoney features automatic backup function. MME is a lightweight app with one million registered users and great UI. The app flaunts its important functions on the main window. Hence, budget tracking becomes an easy task for the new users. To get started with MME, tap on plus sign icon and enter your expense. While entering the expense, the app asks you to enter the date, amount, category, amount, and account type. On the same interface, you’ll also see the option to enter income details or money you’ve transferred from your account. The money manager app displays the information you enter in the modules mentioned above on the home interface. It features a tabbed interface that lets users see their daily, calendar, weekly, monthly expenses, and total expenses till date. Backups, access money manager on PC. The MME budget app for Android lets you set a passcode to prevent other users of your phone from accessing your financial details. GB is yet another popular budget app on the play store. It is an envelope budgeting app. Having an APK size of below 4 megabytes, it is the smallest app on our list. GB stores your information on its server through a secure channel encrypted with a 256 bits algorithm. Once you run GoodBudget on your device, you’ll see an option to log in the app or create a new account. Before the app registers your a/c, it prompts you to enter the following information. Monthly expenses for groceries, gas. After you enter the above information, tap the next button. Now, enter the email address, and a strong password. Once your a/c activates, you can start entering your expenses, bills, and other financial transactions. The app generates real-time reports of your spendings. It lets you sync information across multiple devices. 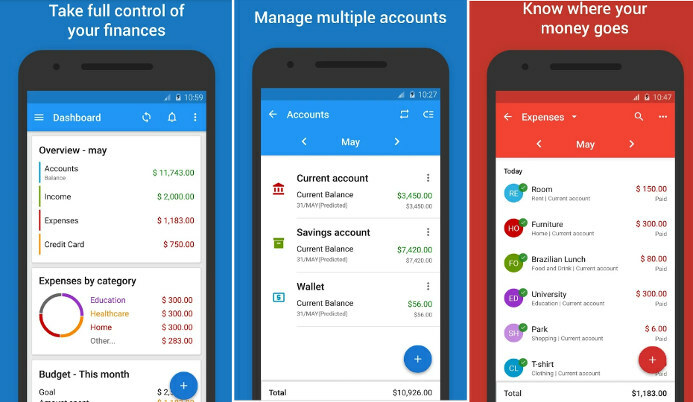 The app for Android allows users to track account balance, expense, budget envelopes throughout the day. 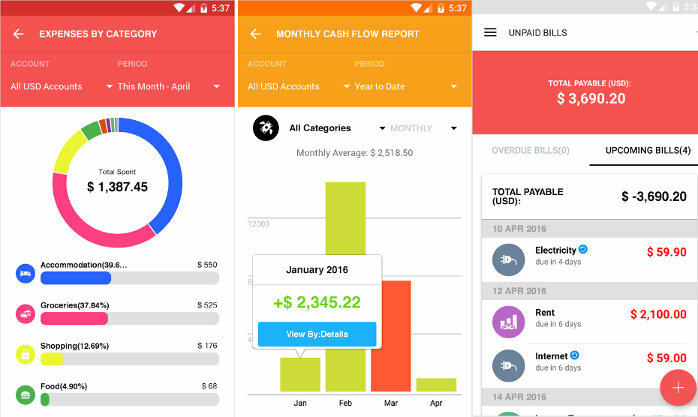 Mobills is an online Android budget app that provides information on daily, monthly, quarterly or overall expenses of its users. 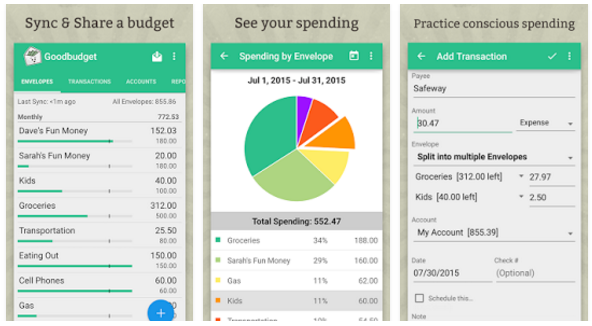 The app lets you set money saving goals. It allows you to view various financial reports which include a monthly statement of your expenses. It has the option to add proof of expense in the form of a file or image. Mobills has an option to set due dates for bills. It sends you an email alert when the bill reaches near its due date. It allows users to manage credit card details/transactions. Mobills has various filters and it offers many powerful tools. EIQ is an award-winning Android application. 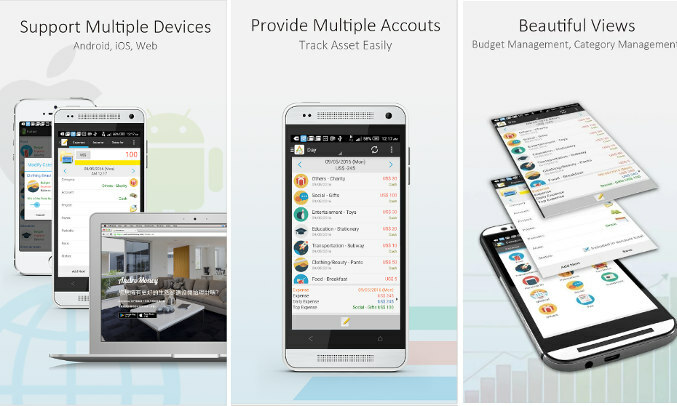 It gives users the freedom to manage every important thing related to their budget. Expense IQ functions as a great bill reminder system. It has a powerful reporting tool that gives you a clear picture of your spendings. The app supports cloud sync feature. Hence, you can access your financial information on devices other than your Android phone or tablet. EIQ prompts users to enter their preferred currency and language on startup. The application also requests the user to enter a time so that that it can alert them to enter the expenses for the day. EIQ supports widgets and provides three color themes. Conclusion: We’ve shared 5 superb Android budget apps that provide important features and tools. If you know any other high-quality widely used app other than the ones mentioned above, please do let us know about it.